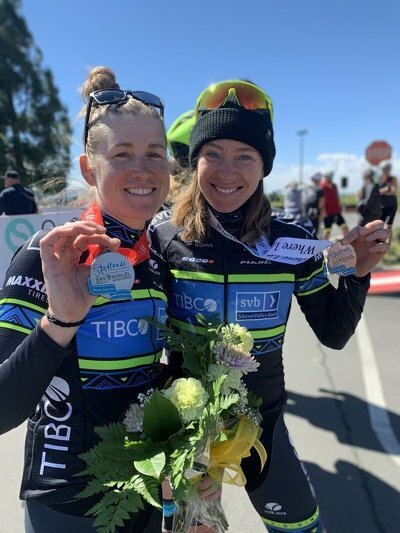 The 35th annual edition of the Redlands Bicycle Classic was a success for Team Tibco-Silicon Valley Bank. The 5 day stage race takes place near Los Angeles, California. It began with a gusty time trial on a never-before raced course. Lex Albrecht's teammates Lauren Stephens and Emily Newsom, two time trial specialists finished the stage just behind the winner (two time World Champion and Lex's former teammate) Amber Neben. This set the stage for the rest of the event. Lauren Stephens and Emily Newsom show their medals from the Redlands Bicycle Classic Stage 1 time trial. 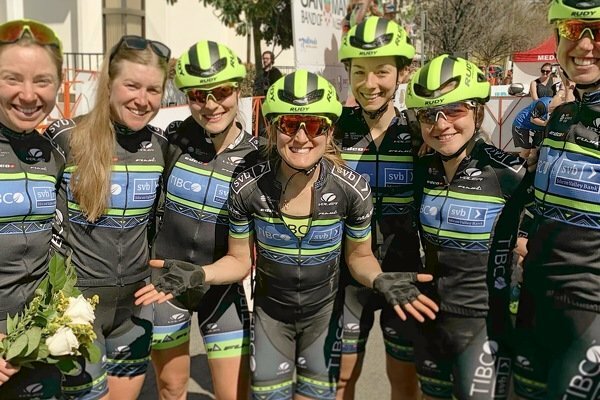 During the following 4 stages Tibco-Silicon Valley Bank battled to take over General Classification, with savvy racing and strategically placed aggressive tactics. After two more stage podiums, on the final stage (Sunset Loop), Lauren Stephens took over the lead of the General Classfication, virtually for a good part of the race. Before the end, Amber Neben was able to regain the lead. 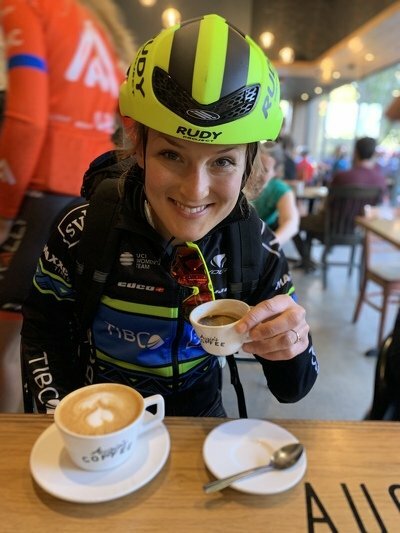 Lex Albrecht enjoying third wave coffee at Augies coffeeshop in Redlands California. A tradition for cyclists racing the Redlands Bicycle Classic on the morning of criterium day. It's a cyclist thing. "Some of my teammates raced in Australia in January, and we have a squad doing the Spring Classics in Europe right now. Redlands is my first race of 2019 and I am so happy to kick the season off on such a good note. We raced well as a team, and personally I can feel that my form is coming into place progressively, just as planned. It feels good to be able to contribute to the team effort, and I am so grateful to be enjoying racing my bike so much. Last year was a tough run with health, and I feel that I'm back strong and resilient again. I'm the old me!" Albrecht's next race is the UCI 2.2. Joe Martin Stage Race in Fayetteville Arkansas. It will take place over 4 days from April 4-7.